Freckles needs to read this--you poor girls. Marathon training scares me, but that taper scares me MORE! I may either quote alot out of this blog posting or link to it from my blog when I'm ready to taper. Just so my family, friends and co-workers know why I'm being a complete jerk to everyone. BTW, I was just thinking about the fact that your race is coming up THIS WEEKEND. Good luck! I can't wait to get the results and read your race report. my sis madeline says GOOD LUCK!!! I love your blog! I just found it through Mike Fox's. I'm training for a marathon this fall, and it's good to hear about what I can expect for the rest of my training. Best of luck with your marathon! :) I'll check back at your blog to see how it goes. 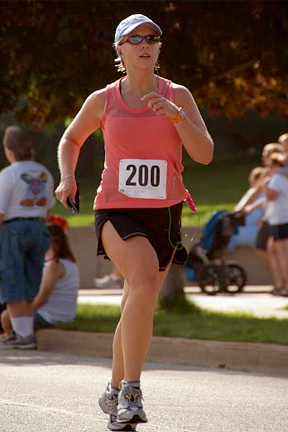 Sara - I checked the St. Louis Marathon results page and see that you finished - AND broke 5 hours. 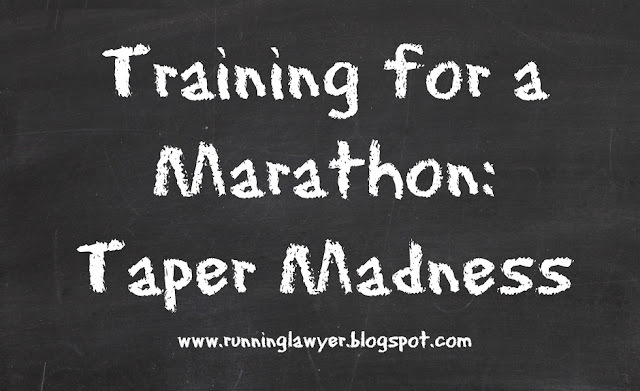 I really enjoyed your article about your 'taper madness'. Saw from your fantastic race report that it was all worth it. Congratulations on a fantastic achievement. Well done! At kdays.com I host the Running Blog Carnival. This post was included in the Running #2008-11 edition.